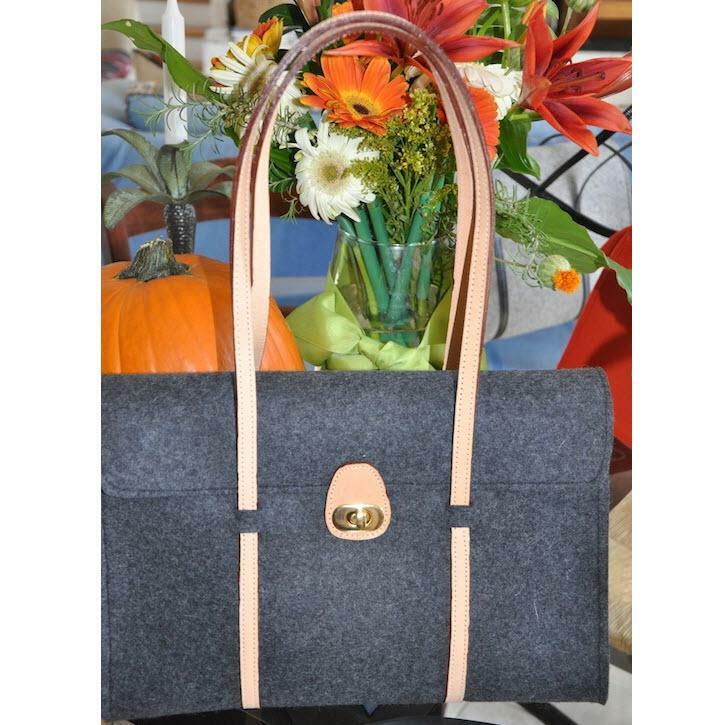 NEW felt bag from Queen Bea Designs! Simply pretty! Personalize to make it your own. 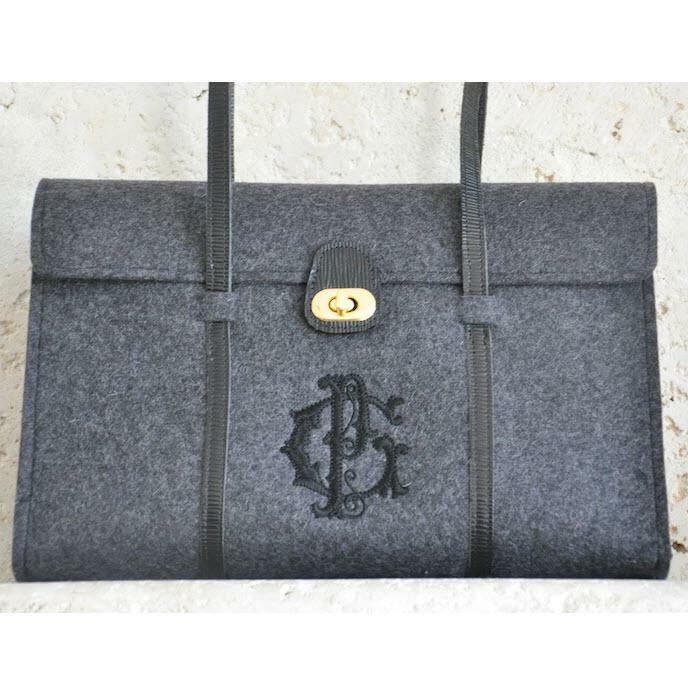 Put a monogram on the Coco felt. Choose felt color, leather color, monogram font, and thread color. 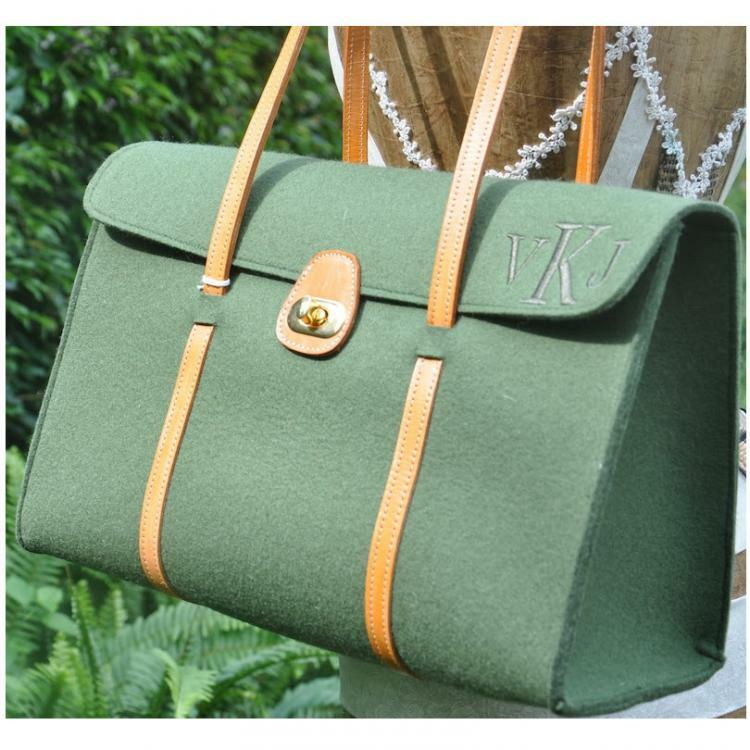 3 Monogram Options:Caroline font on the right side of the flap, Round font in a circle on the center front of the bag, & 2 letter Overlay font on the center front. Dimensions: 14"wide x 10.5"tall x 6"deep. Price: $265.00 In stock! - Browse this brand: Queen Bea StudiosOur products are custom made to your specifications. This product ships up to 3 weeks after your order is placed. 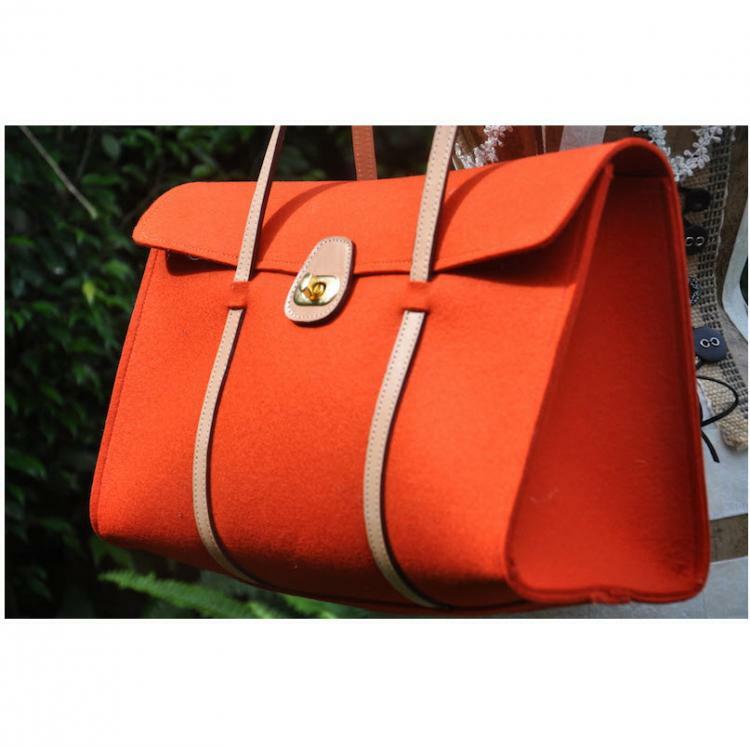 Please select a felt color for your bag. Please select a leather handle option. Please select a font for your bag.